Which asset class wins the "Final Four" in 2019? Will active management beat passive this year? Find out what stock we think will rise at least 30% this year. Has your alma mater or favorite team already been bounced from the NCAA basketball tournament? 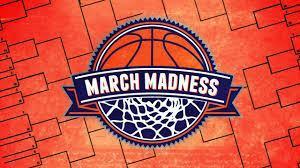 My Portfolio Guide can’t change that fact, but we can offer you a fresh chance with our annual spin on March Madness. For the ninth year in a row, we are rolling out our unique way to share investment themes and overall thoughts on the stock market. The most boilerplate of portfolios has won out by riding the safe bet over the past few years. This is akin to the March Madness office pool where your coworker, who knows nothing about sports and couldn’t differentiate between a basketball and a football, wins the whole pool of money by simply picking the highest seed in each bracket. What we mean by this with regards to investment asset classes is that, since 2013, the Large Cap asset class has been the easy money pick. If you had a decently diversified portfolio (which, by design, should include exposure to International and Emerging Markets), you lost to the boilerplate and simpleton portfolio that is mainly weighted towards Large Cap. Leading up to this blue chip match-up, our Large Cap bracket has some back stories that are worth touching on. First off, you may notice that the #1 seed of the entire bracket gets knocked off. Merck (MRK) had a 12-month return of +51% to earn this seed and a bye in the first round, but it is quickly knocked out by the stock market darling of 2017… Amazon (AMZN). Amazon may not give investors quite the run it did that year (+56%), but we still believe the stock will outperform. Eventually, it gets knocked off by a lower-seeded Boeing (BA), but we’ll touch more on that in a minute. Secondly, a major theme we’ll highlight this year is that you’ll see our S&P 500 Index (SPLG) not make it out of the first round. While we constantly pound the table that the majority of mutual funds and active money managers (82% to be precise) do not beat the market, we believe, this year, there will be an opportunity to do so. We believe this is especially the case in one asset class (Fixed Income/Bonds), but for once, we actually see it being possible in what is historically the most efficient of them all (Large Cap). Back to our coveted match-up with struggling Boeing knocking off another market favorite in that of Apple. Over the past two years, Boeing has dramatically outperformed both Apple as well as the S&P 500 (110% to 33% and 21%, respectively). However, recently, everything has come to a crash… pun intended. With the devastating headlines on Boeing’s 737 Max crisis, the stock has been punished accordingly. Boeing is down -12% the past month, while Apple and the overall stock market have done quite well (+10% and +2%, respectively). All this being said, we believe, at some point, the headlines will have been fully baked into the pie, and investors will see that Boeing is still a world-class company that is still being led by strong management and has tremendous upside along with a decent dividend of 2.21%. The Small and Mid Cap asset class (or region in this annual exercise) is one of the most unpredictable in the bracket. If you have an appetite for risk or are looking for that potential shocking upset that nobody saw coming… stay tuned here! Historically, small and mid-sized companies have actually outperformed the other asset classes over time. This past year, however, they were both clobbered towards year end with the sharp stock market correction we saw in the last quarter of 2018. At one point in December, both Small and Mid Cap were down -24% and -22%, respectively, and deep into bear market territory from their peak levels. Each asset class peeled off over -15% in just one month, reminding people that, while the long-term returns can be enticing here, it does indeed take a strong stomach. All that being said, both of these asset classes are leading the overall market back with a strong bounce. If you pull a rubber band back far enough, it will either break or snap back fast, and we just witnessed the latter. The big question, specifically in this “region” (asset class), is whether professional stock pickers can beat an unmanaged index? The data says NO, but as we know, in March Madness, anything can happen. Did you know that, as of the most recent SPIVA report, 89.4% of Small Cap mutual funds underperformed the index over 5 years? If you fancy yourself as a good stock picker, you’ll eventually be completely humbled when it comes to this asset class. We believe that, this year, there will be some massive dispersions in who outsmarts the index and who gets clobbered. Earlier in our bracket, the Hodges Small Cap Fund (HDPSX) battles its way out to eventually square off against the index. Although it beats out Smart & Final Stores (SFS), you may want to give this overly punished stock a look as it currently trades just over $5 per share. While this company has some work to do, it was once trading over $15 and, in our opinion, will potentially see $7 again in the near future. Going back to the theme of undervalued stocks, we point you again to the Hodges Small Cap Fund as one that looks to capitalize on companies with undervalued earnings prospects as well as those who have a high barrier to entry. The fund has had a rough past few years relative to the index, but, over 10 years, it actually has outperformed the Russell 2000 unlike many of its peers. Our main stock pick of the bunch is KushCo Holdings this year. We’re so confident in it that we’re telling you right here and now that they will win our bracket and potentially rise over 30% before year end! We’ve written about the company before and have owned it back when it traded under $3 per share to now where it’s right around $6 per share. Click here to revisit the original article we wrote on cannabis stocks in general and take a look at the starting prices of some of these. We still believe we’re in the early innings of a long ballgame with this industry, and there is plenty of upside left. If we were investors in the times of the gold rush, we think about KSHB as investing in the “picks and shovels” instead of the actual miners. As the industry becomes more accepted and legal in additional states, you’ll see them remain and expand their leadership position in the packaging business. Lastly, we’ll cover more about KSHB in future articles, but for now, we’re not only excited about their strong growth prospects, solid management, but also the potential increase in visibility if they are to be up-listed to a more credible stock exchange. The International region of our bracket offers investors with stronger stomachs a huge opportunity. As we alluded to earlier in this article, a model portfolio that was overweighted to Large Cap domestic stocks was the winner compared to anyone who diversified into Europe, Asia, or especially Emerging Markets. On the equity spectrum, these got absolutely blasted in 2018 and reached bear market levels (-20% or more). That all being said, bear markets in asset classes like Emerging Markets happen all the time, and once you’ve been around the block a bit, you should see this as a fantastic opportunity to “buy things on sale”. It seems like every year in the NCAA tournament, a mid-major school or college that you’ve never heard of makes the tournament and becomes everyone’s favorite. This year, we have a newcomer to the region with New Zealand making some noise and advancing all the way to the Final Four. We still see Emerging Markets as a must have in your portfolio, but as mentioned previously, one has to have a strong stomach lining to tolerate all the volatility. This year is off to a surprising start, and for those of you who think we’re out of the woods and that volatility is history… stay tuned, because it will be back! While many parts of the world economy may seem to be cooling off, we believe there are some economies that fly under the radar and can rise with the tide but not necessarily crash as hard as others if (WHEN) turbulence kicks up again. There are no safe or sure bets in this region, but the New Zealand economy is still growing at a decent clip and expanded further this past quarter. Nine of their 11 service industries expanded, and there is continued demand for home and commercial building. Lastly, much like here in the US, the chances of interest rate hikes have been muted. Last year, we proudly donned our Captain Obvious hats and warned investors that owning generic bond funds might not be the smartest thing to do. Yes, on one hand, owning bonds can help mitigate a rough year in equities, but on the other hand, every bit of “writing on the wall” spoke to the fact that with interest rates on the rise there could be some disappointed investors who were positioned in a what historically is a safe asset class. Lumped in with Bonds in this asset class is the often-nebulous category of “Alternatives”. They too have had a really rough go as of late, but aside from cash, a few of them managed to be the only positive performers in 2018. True alternatives are not always easy to own, but in this case, two of them managed positive returns. If you like to drink fine wine and look at fine things (ART), you saw returns of +10% and +10.6%, respectively. For most of us, however, we look at lesser barriers to entry in this category. Our main piece of advice this year (aside from avoiding Bitcoin, which was down -75%) goes against the grain of much of what we normally preach. Do NOT own the index this year! In other words, if there was ever an environment to not own an index in bonds or REITs (Real Estate Investment Trusts), it is now. Look for an active manager that understands and can navigate with flexibility the nuances of a rapidly changing landscape. This year, we have two rather low ranked seeds, making it farther than their peers that may have come in on a winning streak. For those who pounded the table to avoid REITs last year, they sure missed the mark (again!). The #1 seeded REIT index (USRT) was up almost 15% over a rolling 12-month period. We see REITs being knocked out by Bonds this year but not by some random collection of them. Our main takeaway this year is that this is the one asset class we’re stressing to NOT own the index; yes… you heard us right. We are advocating active management in this area for 2019. While the Fed seems to have cooled down on their rate increase bonanza, this market is still ripe for more corrections. Additionally, index owners in this area (both REITs and Bonds) can be unwillingly exposed to portions of their respective asset classes that will underperform in this new environment. We can’t do a deep dive here but, in short, make sure you have a manager that has flexibility and is skilled enough to not just be a glorified index. Lastly, while we’ve stated many times that we’re not gold bugs, it should be noted that GLD actually did its job over the past correction. Over one-year and two-year time spans, gold is still basically dead money, but from the market rumbling beginning in September of 2018, all the way to Christmas Eve, it really helped offset the free fall in stocks. If stocks continue to recover as we approach the midway point of 2019, we will likely add another 5% to our overall exposure in gold. The fun part of producing this article each year is that it allows us to share some of our thoughts, strategies, and the investment themes we believe will likely play out in the months ahead. It’s all done with the caveat that we may only own a handful of the 48 investments listed on our bracket. Truth be told, most experts who pick stocks are no more successful than you would be doing the same job! The real winners are the ones who are able to pick enough stocks in the right areas and maintain the proper asset allocation relative to their investment goals. Obviously, every tournament (in the case of March Madness) only has one final winner. With this exercise, however, we are able to build an intelligent portfolio that will have a number of “winners” along with some stinkers. As an investor, you actually have the opportunity every year to own multiple “teams” in different “regions” (asset classes). This year, we’re stepping up the game a bit with opportunity to put our money where our mouth is. How would this March Madness Investing Bracket perform if we actually allocated money towards each pick? This year, we’re going to not only track the performance of our picks but also assign a dollar amount to each of the 48 picks. Just making the Big Dance is worth something, so all 48 picks are assigned at least a $25,000 investment even if they don’t make it out of the first round. From there, each pick “costs” more and is weighted accordingly by either how it beats other picks or how highly it was initially seeded. If one were to invest per the dollar breakdowns above, it would amount in total to a $2,750,000 portfolio. If that gives you sticker shock, just scale back the numbers according to the portfolio size you’re managing. While these picks and amounts are in no way actual investment advice (there’s our legalese and proper disclosure! ), feel free to check in with us periodically on how this portfolio mix is performing. Disclosure: I am/we are long KSHB, BA, COST, SPLG, BTFIX, AAPL, T, SPSM, SPMD, USRT, GLD, SPEM, EFG, DF. I wrote this article myself, and it expresses my own opinions. I am not receiving compensation for it. I have no business relationship with any company whose stock is mentioned in this article.